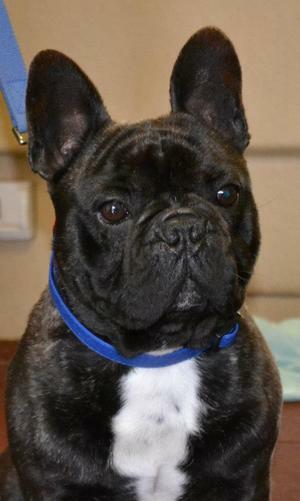 Fostering a Frenchie is exciting and wonderful! Please remember there are a few things you must consider. Are you able to separate the foster pets from your own? It is essential that fosterers can do this for a number of reasons, if your foster dog is unwell, recovering from surgery, needs some quiet time or just doesn't get along with other members of your family. Some foster dogs prefer the confines of a roomy dog crate, it can provide a safe environment for them, a crate will be provided by the rescue if you don't have an area to block off in your home. Are you prepared to take the foster dog to our Vets? The rescue mostly uses two Vets situated in the Narre Warren area, these Vets know our dogs and we trust their opinions. Of course if there is an emergency with any of the Rescues dogs we must be contacted immediately and we will arrange the appropriate Vet in your area. Are you prepared for the damage to your home that may occur? Some foster dogs that come in may not be house trained, they may be chewers or diggers, think about the area the dog will go in to cause the least amount amount of damage, the Rescue will NOT reimbuse you for any damage caused. Can you monitor the health of your foster dog? Some foster dogs will need medications, dressing changes, temperature checks on a regular basis. You will need to pay attention to the health and well being of the dog in your care and contact the rescue if you have any concerns. The rescue, of course, will inform you of any things to look out for. Are you emotionally prepared to return the pet after the foster period is up? This is a biggie and not the easiest thing to do and you must be prepared to return the dog to the rescue or new forever home. At the end of the day it is about the finding the right home for the right dog and yes there could be a lot of heartache for you but always be aware if it wasn't for YOUR care the dog wouldn't have reached the level of finding a new home. Can you place your trust in the FBRAV to decide what is the best for the animal? All our decisions are based on what is best for that particular dog and its needs. To be a successful Foster carer you will need a kind heart and a generosity of spirit and time. You will need the the cooperation of your family, friends and anyone that is living under your roof, you will also need some knowledge of animal Behaviour. ​Thank you for taking the time to read the above. 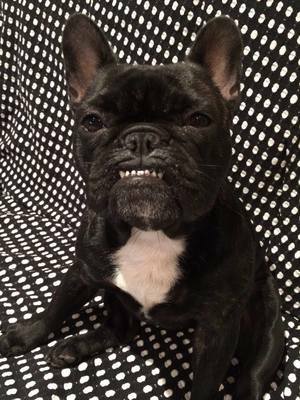 We hope this helps you make an informed decision on whether fostering a Frenchie is for you. If you are interested, please write an email to us explaining what you can provide in the way of a temporary home for one of these beautiful dogs, please do not forget to include phone number and address.